Travelling by bicycle is a real adventure: opening a map, planning a route that always ends up something totally different, preparing the equipment, packing your bags and setting off on two wheels into the unknown, with a smile on your face and a lightness in your heart. 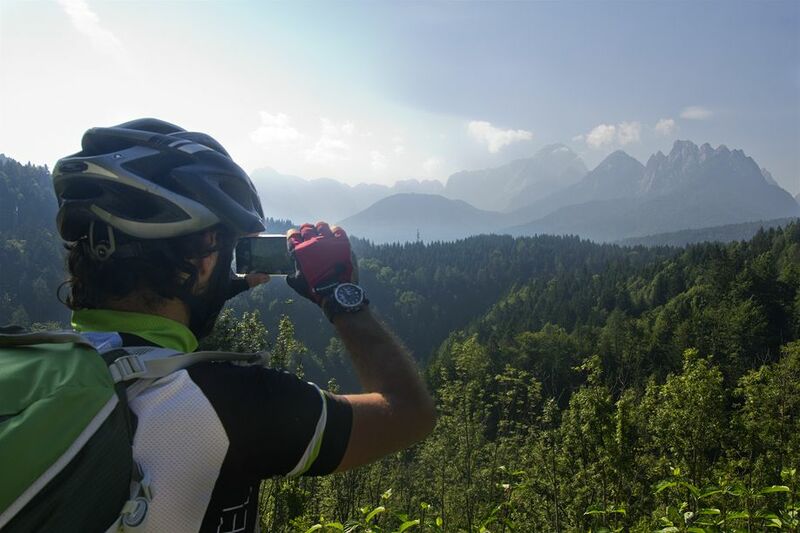 Every bicycle touring experience involves indescribable moments which, once you are back home, you can relive through both memories and photographs. What do I take when cycling? Reflex, compact, smartphone; each travelling cyclist decides which camera to carry on his trip, based on his preferred style. You can pedal all around the world carrying a reflex camera equipped with wideangle, fisheye and telephoto lenses but it will all end up being a substantial extra weight to add to your bags. You can travel lighter than ever before by carrying just a compact camera sealed in a waterproof pouch, safe from the sun and rain. You can also choose to set off without any particular photographic equipment, trusting entirely in the capacity of your mobile phone. Whatever choice you make, remember that there are bike bags made specifically for carrying photographic equipment that you can attach to your handlebars whilst cycling and wear over your shoulder during breaks and tourist visits, so that you can always have your camera within reach. They come in various sizes, shapes and weights, in just the same way as rucksacks, designed for the purpose of carrying photographic equipment on your shoulders when travelling. A valid alternative, in order to reduce the weight and size of your load without too much loss of quality, is to use an action cam with a handlebar mount or on your cycling helmet for more varied shots. One particularly useful accessories to use with an action cam is the pole mount that you can use to take your own picture whilst you are on the move. A decent, lightweight and easy-to-carry tripod, like those found in the Compact series, is essential in order to take pictures in the darkest hours using long exposures (don’t forget to take your remote shutter) to obtain more unusual and interesting images! 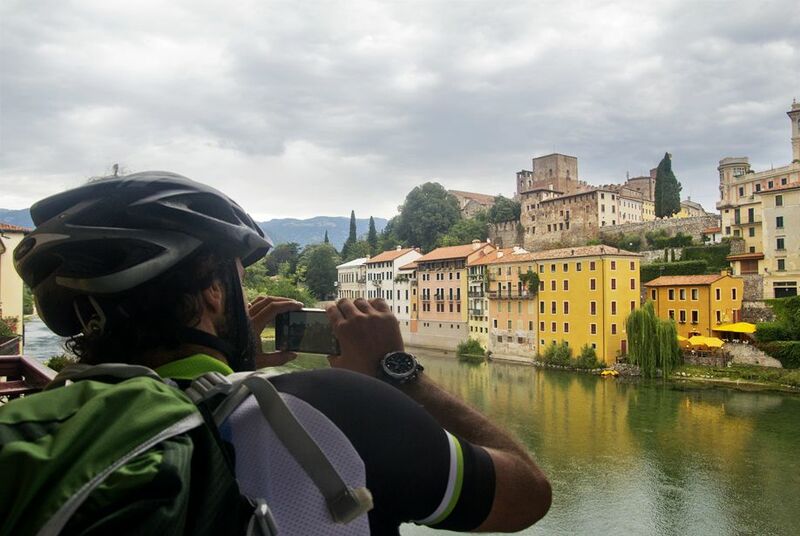 When you want to create a photo feature of a bicycle tour, you have to pay a lot of attention to your subjects. Images of travelling cyclists on the move, of bicycles leaning against the wall or laid down in the middle of the road must be interchanged with characteristic views, panoramic shots, people who inspire your creativity, animals, small details that tell the story of your adventure to whoever will see your pictures once you get back home. 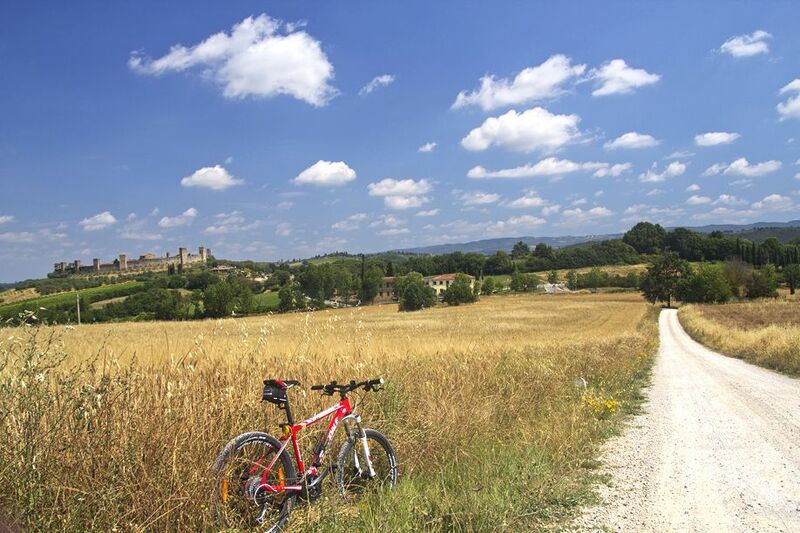 Travellers on two wheels always arouse curiosity and good feeling when they pass through lonely villages; take advantage of this by having a chat with the local elderly residents, playing with the children and getting to know people. By doing so, you will gain their trust and you will find that they will be happy to pose for the camera, with expressions and compositions that will enrich your gallery of travel photos (the ideal lens for portraits is one with a focal length of around 50 mm). If you are travelling with a telephoto lens (and macro lens for shots of insects or details), devote some of your time to birdwatching, especially if you are travelling in tropical countries where there is great biodiversity. If you like wide-open spaces, unspoilt forests and natural landscapes, take a trip to a national park. You don’t have to cycle all day; you can leave your bike at the entrance and let Nature be your guide. There are essentially two best times of day in which to take great quality photographs: dawn and dusk, when the light is warm and oblique. When you are cycling, it is not always possible to devote enough time to studying and producing your images because there is still a long way to go to get to the next stop and you have no time to waste, or because tiredness gets the better of you and you are forced to miss out on experiencing the sunset with your camera in your hand. It has to be said: photography and bicycle touring don’t always go hand-in-hand. Fortunately, however, there is always the flip side of the coin. Indeed, often a cyclist travels around with his tent, prepared to sacrifice the comfort of a warm bed for the opportunity to take amazing pictures with the perfect light in a magical place that cannot easily be reached by car. 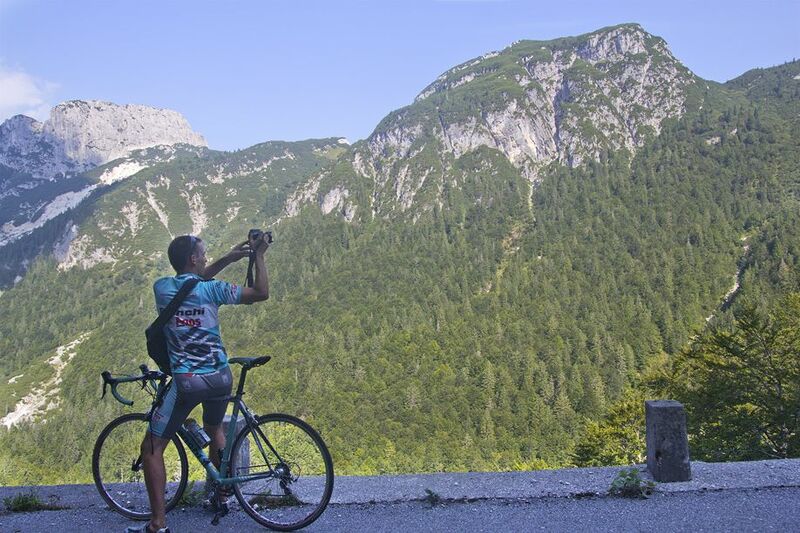 Finding enough time to devote to photography and taking good quality pictures isn’t always easy for a cycling tourist but, with a small amount of sacrifice, the results can be amazing and you will never regret having taken the extra weight with you.